On April 18, 2013, Kathy Bender, former Executive Director and Missionary of the BC Mission Boat Society and member of the Our Saviour Lutheran Church family in Parksville BC, was called home by the Lord at Nanaimo General Hospital. At age 52, Kathy was the first to say that even though she had known her cancer would overtake her at some point, it was coming just too soon. She wanted to still live as mom, friend, and Christian with a heart to serve. Her multiple myeloma impacted her whole body over five years, but it didn’t impact her motivation and passion for life, for people, nature and for all of God’s kingdom. Kathy joined the BC Mission Boat team in its founding year as a Board Director and mission volunteer. This appealed to her adventurous and outdoor spirit. In 2002, she left her career as a Bank manager and financial advisor to assume the role of Outreach worker with the BC Mission Boat, a place where she could do all of things she really loved in life, including singing, bringing joy to others and spreading the word of God. At the time, the ministries vision was “to show and bring Christ, by ship based mission, to British Columbia coastal communities.” In her adventuresome spirit, Kathy prepared herself with courses and understudy to become a co-captain on some of the mission trips. She thrived on bringing smiles and God’s message of love to the coastal residents and remote communities along the BC Coast. In these years, she worked with a very dedicated team of volunteers, Pastor Bob Koebernick and Our Saviour Lutheran Church, summer staff and Concordia University College of Alberta, and a broad community of support across North America. She energized this support community so that in fact, it became a “family of faith” who all were engaged in showing, bringing and receiving Christ’s blessings through their involvement. Kathy’s beauty was seen in her inner spirit, many friendships, positive spirit, contagious laugh (giggle) and in her testimony of faith. 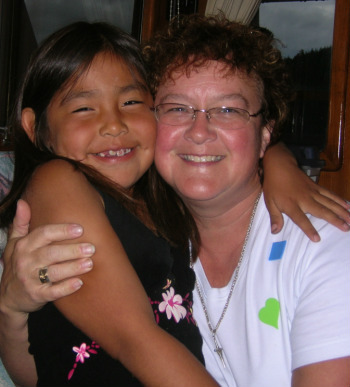 Kathy inspired the BC Mission Boat family with her value for each person she met and community she visited. We continue in this spirit to share God’s love through each opportunity to serve and be served as members of God’s family. Every one of us who knew Kathy will remember her for the relationships of friendship, faith and support that we had with her. Blessed are they who walk in the ways of the Lord! Pastor Robert Koebernick, of Our Saviour Lutheran Church in Parksville, British Columbia, was one of our founders and our first Pastoral Advisor. Pastor Koebernick served the mission in this role from 1999 until his death in 2006. He was instrumental in encouraging this ministry from its earliest days right through the 7 years until his death. He served as Vice President on the Board of Directors for the Mission Boat from 2001 to 2006. Pastor Bob had a passion to share God’s love with everyone. He was a man of grace and brought caring and compassion to everyone he had a chance to be with. When a member of his congregational who felt God encouraging this outreach brought forth the idea of a coastal mission, Pastor Bob encouraged, joined in, and supported the vision of the mission. From the beginning, he was key in sharing the Word and encouraging volunteers from all over North America to get involved. He loved to travel with the Mission Boat, to meet and be with people. He is remembered in many communities along the coast from his visits. He loved people. He shared God’s grace with hurting people and found ways to show them hope through the love of Jesus Christ. He brought laughter and learning to his ministry, and he will be remembered for all of these things and more. One thing that Pastor Bob felt was an unexpected gift of the mission was the opportunity it provided to its volunteers and Lutheran Church Canada to help people grow in faith through service. He was a strong influence in building the relationship between the Mission Boat and Concordia University College in Edmonton Alberta. This relationship has seen Concordia encourage its students to work with the Mission Boat in outreach during reading week each February since 2002. 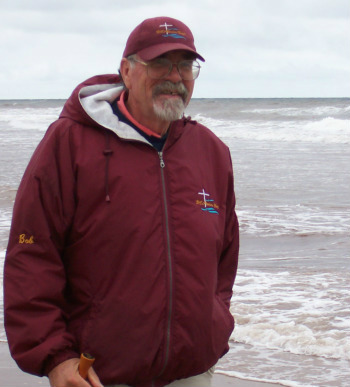 Pastor Bob was a passionate speaker and advocate of the Mission Boat everywhere he went: District and National conventions, Circuit meetings, and personal holidays where he worshipped at other congregations. He was tireless in his work for the Mission Boat and felt God had called him to be a part this mission. He was a blessing to all of us at the Mission Boat and will always be treasured in our memories. Both he and his beloved wife Julie, also an active Director on our Board, have left us to be with God. Julie was suddenly called home to Heaven just 2 months after Pastor Bob. We know that they are relaxing in God’s presence and glory and that they will always be in our hearts as we serve God here on the Coast.